Line a sheet tray with parchment. In a large bowl toss sweet potatoes with just enough oil to coat. Sprinkle sugar and spice. Spread sweet potatoes in single layer on prepared baking sheet, being sure not to overcrowd. 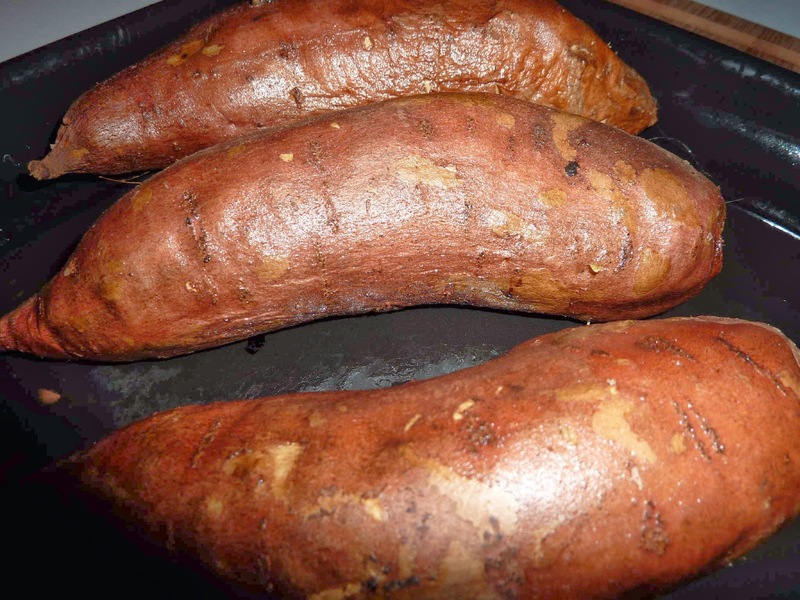 Bake until sweet potatoes are tender and golden brown about 20 minutes. Let cool 5 to 10 minutes before serving. Another Thing....For a humble root vegetable, the sweet potato sure does have a lot going for it. 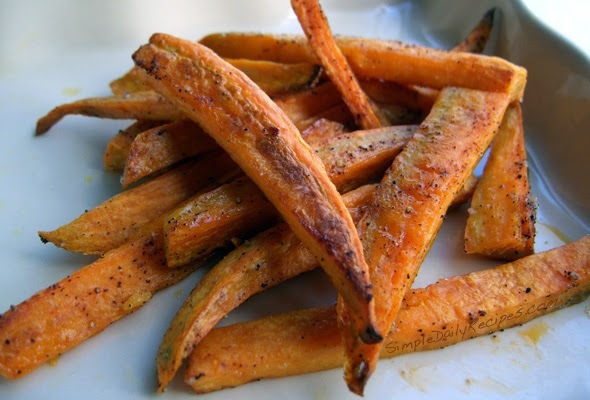 The orange tuber packs 438% of your daily value of infection-fighting vitamin A and, like carrots, sweet potatoes are a major source of skin-protecting beta-carotene. 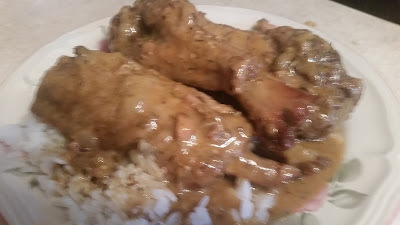 Just rub them down with cooking oil and bake them until fork tender in a 350 oven.